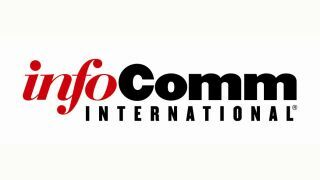 InfoComm has released its 2016 Environment Scan Report. The report analyzes economic, political, social, and technological trends that may affect the pro AV market, as well as internal trends within the AV industry. The 2016 Environmental Scan Report draws upon data from a variety of third-party sources, from government publications to research reports, to examine how internal and external forces may shape the pro AV industry. Researchers analyzed hundreds of reports to come up with a targeted selection of global insights for AV industry professionals. The commercial audiovisual industry exists in an interconnected world with modern collaboration technologies playing an important role in making the globe smaller and small-to-large organizations more global. How does economic turmoil halfway across the world affect the sale of AV products and services in a particular industry segment? It may or may not. But in a rapidly changing digital AV economy, information is power, and companies that mine the most information for trends and events that might affect them and their customers stand to benefit. "To understand the direction in which the AV industry is heading, we must look outside ourselves at factors that impact us," said James Chu, director of market research, InfoComm International. "This report explores the global environment we work in—its current state and potential future—and what that means for AV professionals. This resource will provide foresight for AV businesses building their strategies for the coming years." Economics and Business: Growth in global construction spending will accelerate slightly in 2016, up to 2.8 percent, supported in part by an improvement in global economic growth. This may drive end-user spending on AV technology. Political Environments: Trade agreements are created to generate mutual benefits among countries involved. But sometimes, such agreements present advantages and disadvantages that could affect one or more countries involved. When entering new international markets, AV firms should examine trade agreements because they could offer benefits or disincentives to doing business in that country. AV Industry: Cisco estimates that less than 10 percent of the conference rooms in the world are connected via video. This leaves a lot of runway to upgrade the remaining 90-plus percent of conference rooms as customers embrace video and collaboration technology. Social and Cultural Trends: Millennials now represent a majority of the U.S. workforce, and their expectations of an "always-on" experience are driving the adoption of AV technology. High performers of the future won't merely consume more technology; they will create new corporate cultures that use technology to enable people to adapt and learn, create new solutions, drive change, and disrupt the status quo. Technology and Innovations: Gartner predicts that the number of connected devices being used by municipalities will surpass 2 billion in 2017 and almost reach 10 billion by 2020. This may have implications for that way certain AV systems are designed and secured. InfoComm's 2016 Environmental Scan Report is now available for purchase, with discounts for InfoComm members. For more information, visit infocomm.org/enviroscan.